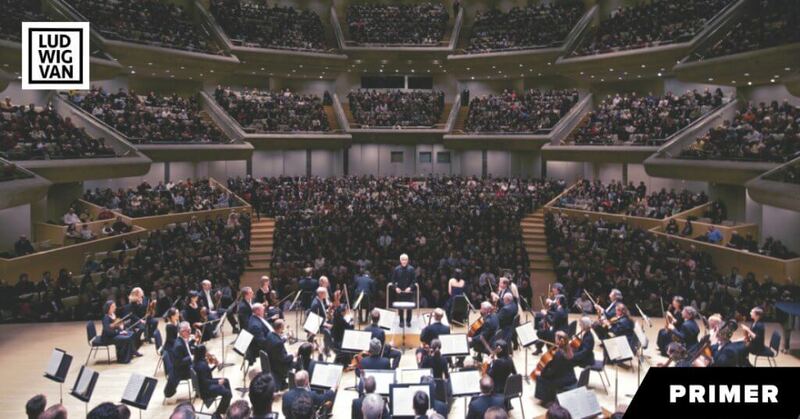 An internationally renowned concert pianist and an Officer of The Order of Canada. 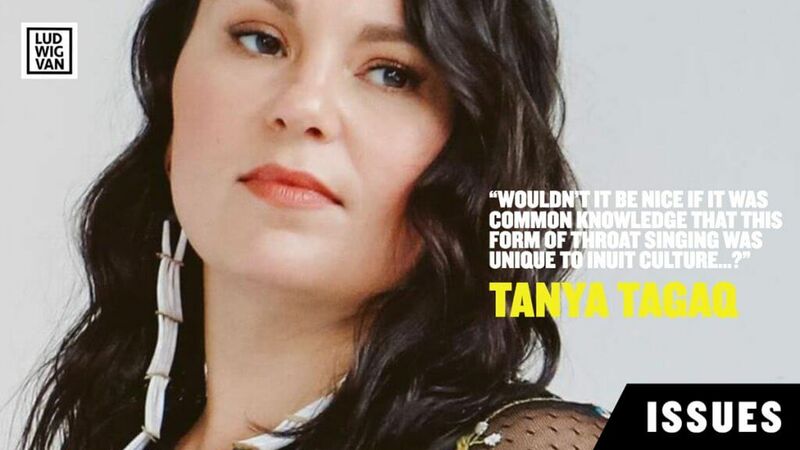 A multiple Juno Award-winning pianist and celebrated chamber musician. Another acclaimed concert pianist, winner of multiple competitions. 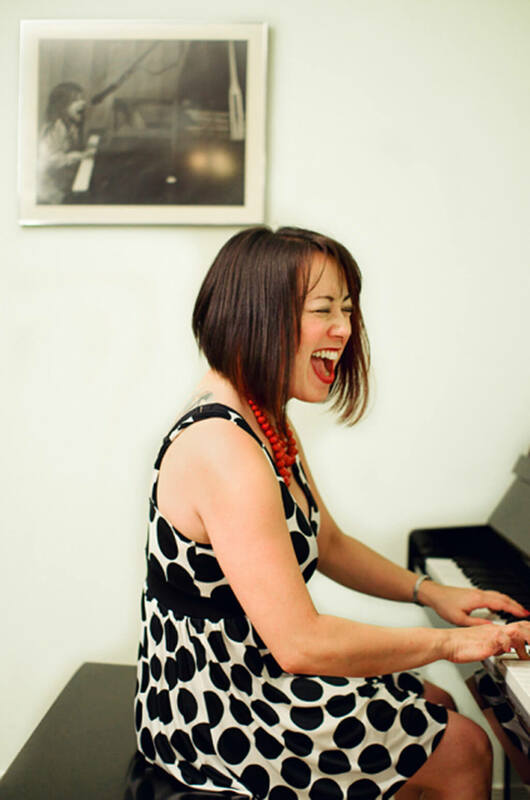 An accomplished piano teacher, musical stylist, and PR specialist for classical musicians. Jon Kimura Parker, Jamie Parker, Ian Parker, and Liz Parker are siblings and cousins. All three Parker pianists have garnered praise for their recordings as well as their performances across North America and beyond. 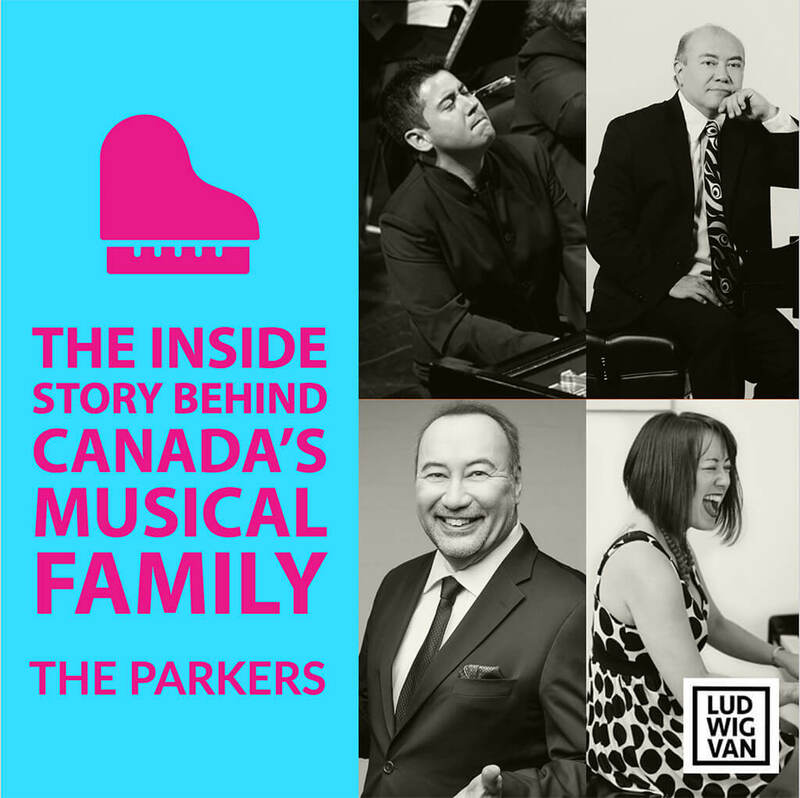 How did the Parkers of Vancouver manage to produce a generation of musicians that has left such a discernible mark on the world of classical piano? On a practical level, it boiled down to a family discipline. “We went through the Parker army drill,” says Elizabeth Anne Fumiko — or Liz — Parker, the youngest of the three Parker siblings born to John and Keiko Parker in Vancouver. That drill involved piano lessons that began before the age of five for all four. Like all good stories, it begins with love. It begins with two brothers, the women they married, and a shared passion for classical piano that transcends the generations. “My parents were matched as penpals,” Liz explains. Keiko Kimura grew up and lived in Tokyo with a love of both Japanese and Western culture. 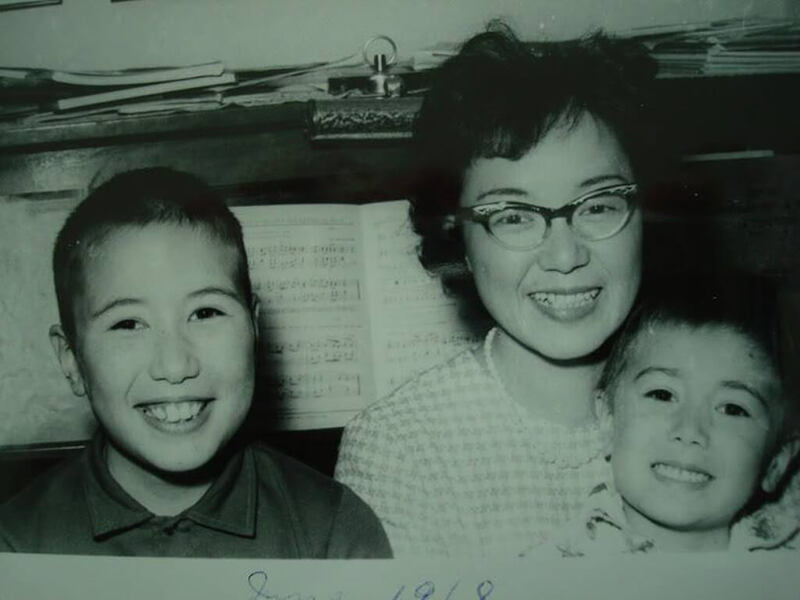 Keiko and John Parker became penpals in the 1950s — that charming and slow paper version of chatting that was popular in the 20th century. While he never played an instrument himself, John grew up in a musical household and had a great love of the arts in general. The two talked about their interests and found a lot in common, including that passion for culture. “My father mailed her a ring.” As Liz tells the story, at a certain point, John sent Keiko an engagement ring and asked her to marry him. Keiko sought the advice of her English teacher, who asked John to write a letter explaining why Keiko should marry him. John wrote and told Keiko that in Vancouver, she could pursue a career or studies, and do what she liked. The English teacher gave the thumbs up, and Keiko headed west to British Columbia. Keiko had just graduated from university with a degree in English literature, but had music on her mind. Once in Canada, she started studying piano, and it just happened that John’s brother Edward was one of Vancouver’s leading piano teachers. Keiko applied herself, got her ARCT, and began teaching herself. “People drove from all over to come for her theory classes,” Liz says. 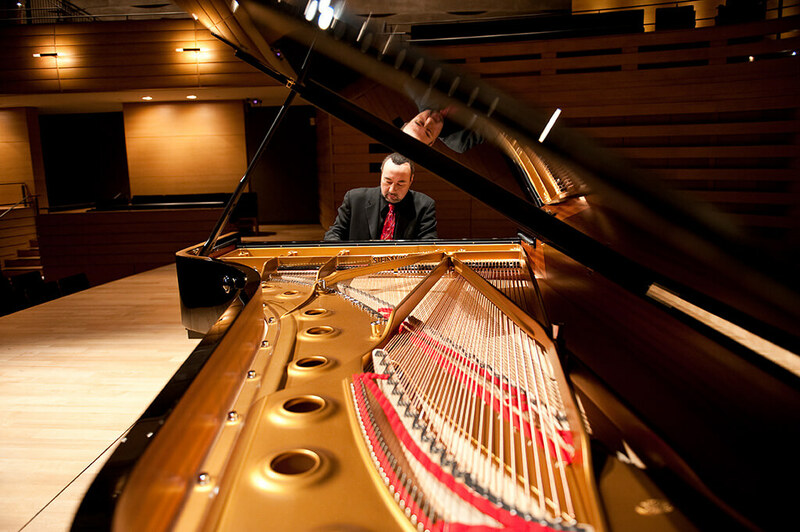 Jon — known as Jackie — Kimura Parker’s career takes him all over the world, and he’s currently Professor of Piano at The Shepherd School of Music at Rice University in Houston, Texas. After studies at the Vancouver Academy of Music and the University of British Columbia, Jon went on to The Juilliard School. In 1984, Jon won first prize at the Leeds International Piano Competition, which brought him international acclaim. 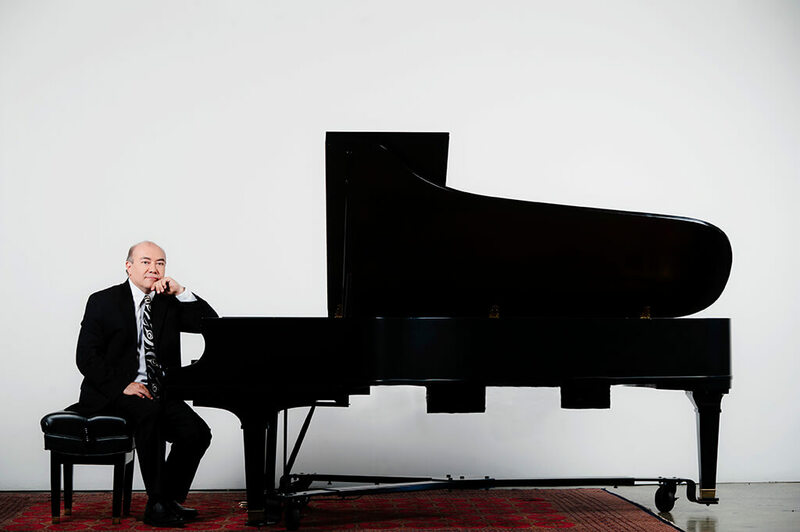 His career has grown exponentially since then, with an eclectic repertoire that has included everything from Gershwin to Bach, with a special interest in North American composers. But, it all began with Mom and Uncle Edward right at home. He began his training at age four, and by five, Jackie was already performing with the Vancouver Youth Orchestra. A career in music was inevitable. “When you do something from the age of four, you don’t question it,” he says. Jon is also an avid photographer. “I can tell you one thing, I didn’t have was sports of any kind,” he says. As a child, he recalls ruefully watching all the neighbourhood kids playing baseball at the diamond down the street while he was practicing scales. “I kind of vaguely resented it,” he says. Jamie Parker began studying piano before he was five and won more than 200 first-place awards in music festivals. “I’m the middle kid,” he says. Jon, born three and a half years earlier, was a prodigy, already playing with orchestras, by the time Jamie began his own lessons. Jamie studied at the Vancouver Academy of Music and University of British Columbia, then followed Jon to The Juilliard School, where he obtained both a Masters and DMA. Gradually, a career began to take shape. “Music is one of those fields where, it’s not like one day, you’re a professional,” he says. However, by the last year of his Bachelor’s degree, Jamie was already performing professionally. As Jon was winning the gold medal in Leeds, Jamie won first prize at the Eckhardt-Gramatte Competition in Manitoba the same year. The win set his professional career in motion in earnest. “I toured the country,” he says — while still an undergrad. It was also pre-GPS. “It was pioneer touring days,” he says with a laugh. 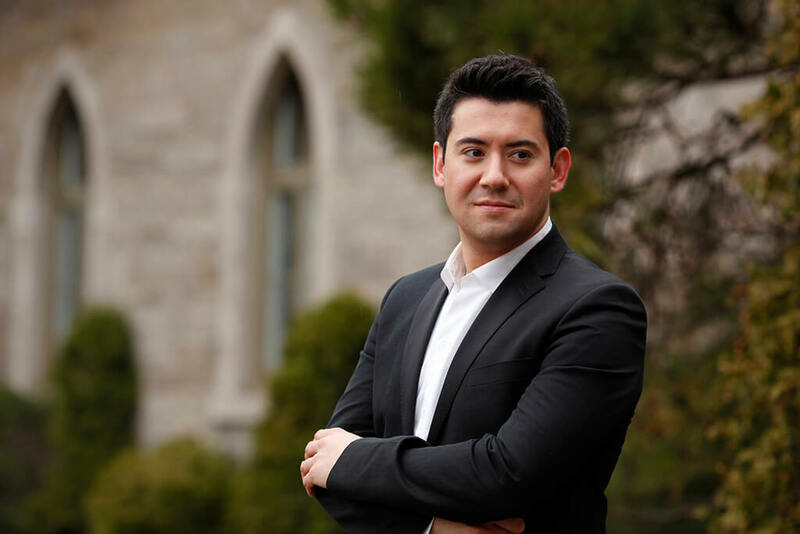 These days, Jamie has found his performing niche with the widely acclaimed Gryphon Trio along with his work as a soloist, and he holds the Rupert E. Edwards Chair in Piano Performance on the music faculty at the University of Toronto. When he’s not teaching, he’s typically on the road. Liz, the youngest by several years, entered into the family drill along with her brothers. “We all showed ability early on,” she says. What was it like in a household where, as the youngest, she was competing with Jon and Jamie, and the already established routine? “There was door slamming matches,” she recalls. At about grade 8, Liz wanted to quit, a fact she announced to her parents over dinner. “Lizzy, this is not a dinner table discussion,” she was told. In that same serious after-dinner discussion, Liz was asked to justify her reasons for quitting, something her parents likened to an abuse of her own talent. “We had to get our ARCT,” Liz says. Duly persuaded, she went on to garner an ARCT Gold Medal in piano performance, and then a Bachelor of Music at the UBC. But, while glad of what she’d achieved, Liz decided the performing life was not for her. John Parker passed away in 2009, retired after a long career as a pharmacist. While John didn’t play, he influenced the family with his sheer love of music. “He was such a fan,” Liz says. “Our father loved music, and in particular, piano music. For a layman, he knew a whole heck of a lot about music,” Jamie agrees. “My uncle was the most dedicated concert-goer that you ever knew,” adds Ian, John’s nephew. Ian’s instruction began at the age of three. He won many competitions and prizes, including the William Petschek Piano Debut Award at the Juilliard School of Music in 2002, where he obtained both his Bachelor and Master of Music degrees. He’s currently based in both Vancouver and New York City. Ian’s mother, Eileen Yuen, came from Shanghai, China originally. She fled Mao’s Communist regime to find refuge in Hong Kong for a decade or so before making the jump to Vancouver. “She came to Vancouver to pursue piano,” Ian says. She soon found herself taking lessons from one Edward Parker, and a romance eventually was born. While his cousins grew up with four pianos, Ian grew up in a virtual music factory. “On average, there were about 80 students per week,” he says. He recalls about 22 pianos in the house at peak. “A bit of a piano factory in Burnaby,” he calls it. Ian’s brother Keath seems to be the only one to have eschewed a life of music all together. Eileen Parker was very active in helping Edward run what amounted to his very own piano conservatory, taking on the scheduling, billing, and other activities that helped the business run smoothly. Three or four additional teachers were hired to take on the overflow that Edward just couldn’t get to on his own. “There was a piano — and sometimes, two pianos — in every room in the house, other than the bathroom,” Ian remembers. He describes Edward as a teacher who was absolutely driven to see his students perform at their best. Some of his former students recall him as a lovely, personable man. Others remember a sometimes difficult taskmaster. Ian says he figured out the difference – if his father saw genuine talent, he turned into that demanding mentor. For those who were only pursuing music as an amateur, he could afford to be more charming. “He began at six o’clock,” Ian recalls. “He would shave at lessons. He’d eat breakfast at lessons. That’s how his life was long before he got married and had a family.” Edward’s teaching day ended at about 11 pm. Many of Edwards students — even outside the family — ended up at Juilliard. His standards were uncompromising. “You must do it well, and your absolute best is the minimum requirement,” he recalls Edward saying. “He would ride you until you were on your last nerve.” But, it was all for the good of the students. “His students were his family,” Ian says. That sometimes even included teaching them how to drive. For Ian, there never really was a choice. He was growing up in a piano conservatory, with three cousins who were already well on their way to performance level playing by the time he showed up on the scene nearly a decade after Liz. “This is what you do.” Ian says he never even questioned the idea until he was actually at university studying music. “Why, this is actually hard,” he remembers the revelation. After his mother passed suddenly in 1995, Ian noticed the difference. Going through his father’s papers, he found thousands of dollars in uncashed cheques for lessons. In addition to teaching piano, Edward dabbled in real estate, and Ian was surprised to find that some properties hadn’t paid rent in years. Eileen had been the linchpin that kept it all together. Ian was at Juilliard when his mother passed away, and he has told interviewers that he still kisses his mother’s bracelet before walking on stage for every performance in her memory.